Tentatively, after almost a year in office, Netanyahu can be described as handling the Palestinian situation artfully: positioning himself as a perceived moderate by expressing openness to the idea of a Palestinian state, while hedging such a hypothetical state with requirements (genuine acceptance of Israel, effective demilitarization, Israeli retention of considerable areas) that no Palestinian leader would accept; helping to position Palestinian Authority president Mahmoud Abbas as the intransigent party who-reportedly to American, if not European, annoyance-stonewalls talks. As for the “Syrian track,” those with an awareness of the Golan Heights' importance for Israel and of the radical nature of Bashar Assad's regime can only welcome the fact that Netanyahu's government has not resumed the previous Olmert government's Turkish-mediated talks with Damascus. Bechor's analysis doesn't say why enemies like Hamas, Hezbollah, and their patron Iran keep building ever-more-dangerous capacities if they're simply cowed. But it is true that under the Netanyahu government, a trajectory of renewed deterrence has been well sustained up to such recent successes as the presumed Dubai exploit and the air force's unveiling of a “super-drone” that can reach Iran. As for “inculcating basic national values,” Netanyahu had in mind a new, 600-million-shekel program launched by his government to restore historical sites and reconnect young Israelis with both the ancient Israelite and modern Zionist past. But whether or not such a massive effort is necessary-and most of the country's leadership agrees that it is-there are already signs of a revived self-confidence and assertiveness. The Foreign Ministry's reported snubbing of a congressional delegation sent by the faux “pro-Israel” group J Street was one such sign. Another is a brand-new, entirely novel initiative by the Foreign Ministry to encourage ordinary Israelis to present Israel's case abroad with the help of a new website (in Hebrew) that had already been visited by 130,000 in its first five days. There are also signs of a mounting, well-deserved intolerance toward the traitorous element from within: Tel Aviv University has come under fierce pressure to fire radical-Left academics who campaign abroad for a boycott of Israel; and the left-wing NGO known as the New Israel Fund is likewise under fire and Knesset investigation for funding anti-Israeli groups including some on which the Goldstone commission relied for its libelous report. Netanyahu was right, then, to reject the allegation that his only real goal is now his own political survival as he leads a government that is “not going anywhere.” In less than a year his government has been rebuilding Israel's strength on many fronts. But great danger still looms. (JTA) -- Israel and the United States have differences of perspective and judgment when it comes to Iran and the Middle East, but the overall relationship is sound, Ehud Barak said. The Israeli defense minister, speaking Friday at the Washington Institute for Near East Policy after a series of meetings with top U.S. officials, said that the United States necessarily viewed the Iran threat differently from Israel. "From America, when you look at a nuclear Iran, you already have, just besides allies like France and U.K., you have a nuclear Russia, nuclear China, nuclear India, nuclear Pakistan, North Korea is going toward turning nuclear," Barak said. "So probably from this corner of the world, it doesn’t change the scene dramatically. "From a closer distance, in Israel it looks like a tipping point of the whole regional order with a quite assured, quite certain consequences to the wider world, global world order." “In the moment of truth, the U.S. makes sure,” that Israel can defend itself, Barak said. “We felt very proud never to have asked America to fight for us. ‘Give us the tools, we do the job,’” he described Israel’s view on U.S.-Israeli security cooperation. “By supporting Israel, the U.S. relieves the need to do it itself." Israeli officials say 2010 may be the last opportunity to keep Iran from obtaining a nuclear weapon, and want to press forward to "crippling" sanctions that would target Iran's energy sector. The Obama administration still favors multilateral sanctions that have an international consensus and that target Iranian individuals and entities. Barak, who was in Washington to gauge the U.S. posture on Iran, said that despite such differences, solid U.S. support and mutual respect was the basis of the relationship. "I think that beyond that there is, of course, a certain difference in perspective and difference in judgment, difference in the internal clocks and difference in capabilities," he said. "And I don’t think that there is a need to coordinate in this regard. That should be understood; it should be exchange of views – we do not need to coordinate every step." According to an August 10, 2009 Rasmussen poll, Israel is ranked as the third most favorable ally (70%), preceded only by Canada and Britain. The low regard toward Egypt (39%) and Saudi Arabia (23%) demonstrates that Americans remain skeptical – at least since 9/11 - of Arabs and Muslims, even when they are portrayed by the media and the Administration as supposedly moderate and pro-American. Moreover, only 21% of adult Americans expect that the US relationship with the Muslim world will improve in a year, while 25% expect that it will get worse.‬‪Apparently, US public attitude towards Arabs and Muslims has hardly been impacted by President Obama's highly-publicized outreach to Muslims, as demonstrated by his apologetic speeches at Turkey's National Assembly ("…the Islamic faith has done so much to shape the world, including my own country…"), at Cairo University ("Islam has always been a part of America's story…") and at the UN ("America has acted unilaterally, without regard for the interests of others…").‬‪Historically, most Americans have been suspicious of Arabs and Islam, while identifying with Judeo-Christian values, Judaism and the Jewish State, as documented by a June 3, 2009 Gallup poll. By an overwhelming 80%:13% ratio, Americans believe that Muslims are hostile toward the USA. They subscribe to Samuel Huntington's "War of Civilizations," much more that Obama's June 4, 2009 statement, made at Cairo University: "America is not – and never will be – at war with Islam." Apparently, Obama's efforts have failed to uproot the legacy of the Islamic threat since the early 19th century war against Muslim pirates, through the 1983 detonation of the US embassy and the truck bombing of the Marine Headquarters in Beirut, the 1998 bombing of the US embassies in Kenya and Tanzania, 9/11, the December 2009 Ft. Hood, Texas massacre and the Muslim terrorist attempt to bomb a Detroit-bound airliner.‬‪Since, at least 9/11, most Americans have held the Palestinian Authority in disfavor, 15% support and 73% opposed, according to a March 3, 2009 Gallup poll. A definite connection has been established between the Palestinian Authority and terrorism, pro-Saddam Hussein and Bin-Laden sentiments and anti-US sentiments. In contrast, support of Israel has remained steady at 63% with only 23% opposing.‬‪Israel's good standing has recently been reflected on Capitol Hill. For instance, 344 House Representatives (79%) signed a November 4, 2009 letter, supporting Israel and condemning the Goldstone Report. On the other hand, only 54 House Representatives (12%) signed a January 27, 2010 letter, criticizing Israel and supporting Hamas.‬‪Unlike dictatorships, which manipulate results of public opinion polls, democracies are shaped, to a large extent, by public opinion. Public opinion is especially critical in the US democracy, which features the constituent as its centerpiece. Therefore, US legislators are more attentive to voters than are other Western legislators. They take seriously the electoral battle cry: "We shall remember in November!" Hence, the sustained support of the Jewish State on Capitol Hill, which reflects the will of the American People, in addition to the role played by shared-values, mutual-threats and joint-interests in shaping the unique covenant between the US, the Jewish People and the Jewish State. (Ynet).Officials at Netanyahu's office expressed satisfaction over the findings of an annual Gallup poll published this week. For the first time since 1991, more than six out of every 10 Americans (63%) endorse Israel's position rather than the Palestinian stance in respect to the Mideastern conflict. According to the poll, held at the beginning of the month, 15% of Americans endorse the Palestinian side, while 23% support both sides, neither side, or hold no opinion. "The American public's high-level support for Israel stems from a deep sense of the way and values shared by both nations," a source at the PM's Office said. "The leap in the support for Israel in the past year, to the highest rate in 20 years, is also not coincidental." A senior political source said he hopes that the American public's "unequivocal support for Israel will make it clear to the Palestinians that they would do well to enter peace talks, and that it would be a shame for them to waste time in a futile wait for Israel's diplomatic isolation in the US." An official in the PM's Office added: "Netanyahu, who is known by the American public for 30 years now, invested great efforts in explaining Israel's policy in the US in recent months. He had done so in his last three visits to Washington and New York, and he does it every week in meetings in Israel with Congress members and American public opinion leaders. He also intends to do it in his upcoming trips to Washington in March and April." Screw up or begging for a strike? Why did Iran move nuclear fuel to above-ground facility? The strangest of the speculations — but the one that is being talked about most — is that the Iranian Revolutionary Guard Corps is inviting an attack to unify the country after eight months of street demonstrations that have pitted millions of Iranians against their government. As one senior European diplomat noted Thursday, an Israeli military strike might be the “best thing” for Iran’s leadership because it would bring Iranians together against a national enemy. It would offer an excuse some Iranians might sorely want to throw out the nuclear inspectors and renounce the Nuclear Non-Proliferation Treaty. That would leave Iran in the position North Korea is in today: free to manufacture fuel or bombs without inspectors to blow the whistle. ...Another explanation: brinkmanship. The Iranians have made clear that they do not like the terms their own negotiators came home with for swapping their nuclear fuel for specialized fuel for the medical reactor. By moving their fuel supply to the enrichment plant, they are essentially threatening to turn it all to near-bomb-grade fuel — and perhaps force the United States to reopen negotiations. (HAaretz,IM).Days after the United States announced the return of an ambassador to Syria for the first time in five years, Syrian President Bashar al-Assad hosted a dinner meeting with Iranian President Mahmoud Ahmadinejad and de facto Lebanese leader and Hezbullah chairman Hassan Nasrallah. The three discussed the 'Zionist threat' at their meeting in Damascus on Thursday night. "His appointment represents President Obama’s commitment to use engagement to advance U.S. interests by improving communication with the Syrian government and people," Gibbs continued. "If confirmed by the Senate, Ambassador Ford will engage the Syrian government on how we can enhance relations, while addressing areas of ongoing concern." And guess what was Asssads response? Thanks Brother, but no thanks! Iranian President Mahmoud Ahmadinejad, Syrian President Bashar Assad and Hezbollah Secretary-General Hassan Nasrallah met in Damascus late Thursday, Hezbollah's Al-Manar television station has reported. The three held their meeting over dinner at the presidential palace, accompanied by senior advisers from all three sides. This was the first time a Nasrallah visit to Damascus has been reported. Al-Manar did not report whether Hamas political chief Khaled Meshal, who is based in Damascus, took part in the meeting. However, the station did say that Ahmadinejad met with a number of top Palestinian officials from at least 10 political movements during his visit. During that meeting, the Iranian president and the Palestinians expressed their desire for cooperation against Israeli "threats, aggressions" and moves regarding Islamic holy sites in Israel. Meshal told Al-Manar that Ahmadinejad's visit to Damascus was meant as part of a joint effort to contend with "Zionist bragging." According to another Palestinian source, the sides discussed the threat of Israeli attacks on Syria, Lebanon, Palestinians and Iran. During their meetings, Ahmadinejad emphasized that "resistance is the most successful way to liberate land" and reiterated Iran's vow to stand by Palestinian demands. (JC,Ynet).Israel is suffering its biggest public relations crisis for 20 years, according to its information and diaspora minister. Yuli Edelstein told 400 guests at the Zionist Federation dinner in London this week: "We are facing the 3Ds- deligitimisation, demonisation, and double standards, pretending to be legitimate criticism of Israeli policies." While it had become "absolutely disgusting not to talk nicely about Jews," such a taboo no longer applied to Israel or its soldiers. He said that while legitimate criticism was welcome, the international atmosphere and the Goldstone Report, had accelerated this. Putting much of the blame on Iran, he added: "When someone persistently says that he wants to kill me, I tend to believe him." He was in London leading a campaign to improve the country's image. And, as a former prisoner in the Soviet Union - he reached Israel in 1987 after three years in labour camps - he recalled the ultimate success of the worldwide Soviet Jewry campaign. "Thirty or 40 years ago Soviet Jews didn't stand a chance. But then we had each other, the Jewish community worldwide, and we counted on the right people - many of you are here tonight." He added: "Millions of Israelis travel abroad every year. Eighty five per cent of those we asked expressed their backing for the national effort of trying to change the perception of Israel." A website, www.masbirim.co.il, has been launched with films in English, Spanish and French, giving an ironic view of how Europeans see Israel. The English version has a fake BBC reporter walking through the desert with camels, which, he tells the viewer in all seriousness, are the primary forms of transport for Israelis, and even used to carry weapons. "The camels are used by the Israeli cavalry," he says. Mr Edelstein said: "You can't preach all the time unless you want to sound like a Bolshevik." After taking harsh blows to his new pro-Israel PR initiative, which has largely been criticized as grossly mismanaged and misguided, Minister of Information and Diaspora Yuli Edelstein cannot understand what exactly is the problem. "Even al-Jazeera understands Israel's right to defend itself better that the Left in Israel, led by Peace Now," Edelstein told Ynet. The PR website central to the campaign seems to mix political positions together with pro-Israel advocacy. For instance, it claims that peace with the Palestinians is not related to the existence of West Bank settlements. "The source of the Arab-Israeli conflict does not stem from the size of the country, but rather its very existence," the site asserts. "Tel Aviv and Jerusalem are both likely to be perceived in the eyes of Arabs as settlements." In another instance, the site explains that the 13 Arabs simply "disappeared" during the October 2000 Riots when in fact they were killed. Talking to Ynet, Edelstein admits that the Israeli PR website has yet to be completed and that corrections will be made to it in the near future. "There will be many more changes in the next couple of months, in accordance with the public's criticism and faults discovered by us. Nonetheless, everything said in the website reflects the Israeli law on the Golan Heights issue and reflects the government's stands on Judea and Samaria. It focuses on are mid points, Israeli consensus points," Edelstein said. Referring to the Left's criticism of the Israeli website, the minister said: "The fact that the Left's leaders and Peace Now members are unhappy with our PR campaign on the website is really unfortunate. I consulted dozens of people – including public figures, academics and artists whose opinions are very far from mine – and many of them praised the campaign and the website we set up. They all understand that this is a national effort serving all the people of Israel." Edelstein went on to slam Peace Now Secretary-General Yariv Oppenheimer, who sent a letter of protest to Prime Minister Benjamin Netanyahu about the Israeli PR website's content. "I was asked to give an interview to al-Jazeera about this issue and I did it in their studio in London. I just got back from there. I was interviewed by a clear pro-Palestinian journalist, but even he did not refer to it as a fascist right-wing campaign, as Peace Now claims. This says it all." Edelstein added, "Many media outlets in the world, including pro-Palestinian ones, have talked to me about the new website's meaning for Israeli 'hasbara'. None of them said what the Israeli Left is saying. No one sees it as a nationalistic campaign. The Left and Oppenheimer should examine themselves. The Israeli PR website contains Israel's essence and the opinions of the Israeli government, and this is how it should be." (jerusalemdispatch).“Now we’re in Jerusalem and we have to teach the Children of Zion about Zion and about the Land of Israel,” Prime Minister Binyamin Netanyahu told the Board of Governors of the Jewish Agency early this week at the Inbal Hotel in Jerusalem, as he promoted the recently unveiled Heritage Program. Cabinet Secretary Zvi Hauser’s “Heritage Program” calls for government investment in restoring hundreds of historic sites, museums and archives, and in building two trails between archaeological sites and landmark stations from the era of the Yishuv, the pre-state Jewish community. New technologies will be used to bring the younger generation closer to the past. A senior government official said the government has not embarked on an effort of this kind to impart Israeli and Jewish heritage since the early days of the state. According to Netanyahu, the investment carries a hefty price tag. “I’ve always found that people take you seriously only if you spend money. Well, we’re spending money on this,” he told the Board of Governors during the three-day conference. Continuing his focus on the capital city as the center of world Jewry, the Prime Minister said, “It’s because young Ethiopians who walked from Ethiopia – many of them losing their brothers and sisters – they said ‘Next Year in Jerusalem.’ It’s because the last people in the Warsaw Ghetto standing up against impossible odds said ‘Next Year in Jerusalem.’ And some of them died saying it, and some of them escaped and are here. It’s because this happened not only in the Warsaw Ghetto, it happened in the Ghetto of Toledo hundreds of years before that. According to website Israel News, Netanyahu’s effort to revitalize Jewish consciousness in Israel and abroad stems from deep-seated concerns. 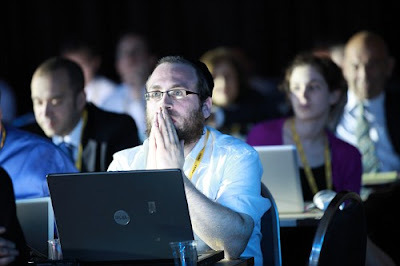 Last week his speech at the Herzliya Conference was devoted to the danger of national collapse. (Ynet).Israel is strengthening its ties with the United States in light of the possibility that sanctions against Iran may be intensified. Defense Minister Ehud Barak, who flew to the US on Tuesday, is slated to meet on Thursdaywith US administration officials in Washington to discuss imposing sanctions on the Islamic Republic with them. Also on Thursday, the strategic dialogue between Jerusalem and Washington, led by Deputy Foreign Minister Daniel Ayalon and Deputy Secretary of State James Steinberg, will be renewed. It still remains unclear when and if the international community will impose additional sanctions against Tehran. However, the US and Israel, with the help of France and other European countries, are leading the trend pushing for increased sanctions. The highest level talks are usually conducted via telephone or written correspondence, but the effort is being taken up a notch this week. Barak will meet with Secretary of State Hillary Clinton, Secretary of Defense Robert Gates, US special envoy to the Middle East George Mitchell, and perhaps even Vice President Joe Biden. The talks will focus on the Iranian nuclear threat, however another issue that will likely be raised is the indirect talks between Israel and the Palestinians. The defense minister is expected to lean mainly on the most recent report issued by the International Atomic Energy Agency that asserted that Iran is actively seeking nuclear warheads. Barak will deliberate with Clinton and Gates regarding the manner in which the international community should be goaded into imposing sanctions on Tehran. In addition, he will speak with Admiral Michael Mullen, chairman of the US Joint Chiefs of Staff, about cooperation between the US and Israel as well as Iran's nuclear aspirations. In Jerusalem, Deputy Foreign Minister Ayalon will meet with senior officials from the Pentagon, the White House, and the National Security Council, and from the two countries' intelligence agencies. The talks will last a full day and are also slated to focus on Iran. Scheduled to participate in the talks are head of the Defense Ministry's Diplomatic-Security Bureau Amos Gilad, head of the National Security Council Uzi Arad, and Foreign Ministry Director-General Yossi Gal. A joint statement will be issued following the extended day of talks. The EU is preparing tough sanctions against Iran's energy and financial sectors, according to a confidental list of proposals drawn up for EU foreign ministers and obtained by SPIEGEL ONLINE. The measures, aimed at forcing Iran to back down in the nuclear dispute, would have a dramatic impact on the economy. The statement by the EU foreign ministers after their meeting in Brussels on Monday sounded harmless: the EU would stick to its "dual track" approach of threatening economic sanctions and offering negotiations to stop Tehran developing nuclear weapons. So far, however, that strategy hasn't worked. Iranian President Mahmoud Ahmadinejad announced plans on Monday to build two new uranium enrichment plants despite warnings issued by the UN Security Council, the US and Europe. "The world powers should not be worried as all our nuclear activities are strictly supervised by the inspectors of the International Atomic Energy Agency (IAEA)," Foreign Ministry spokesman Ramin Mehmanparast said in a press briefing in Tehran on Tuesday. But such assurances don't wash with the Europeans anymore. The EU wants to massively ratchet up the pressure on Tehran -- and the instruments have already been prepared. Behind the scenes, EU finance and trade experts have worked out a confidential catalogue of possible sanctions. SPIEGEL ONLINE has obtained that catalogue, a 13-page "non-paper on political and economic context of sanctions against Iran." The proposals aren't just aimed at expanding existing sanctions such as trade embargos for military and nuclear products and travel bans for Tehran's bomb builders. For the first time, the EU is envisaging a program that targets the entire Iranian economy. In order to maximize the impact, the experts are recommending measures to hit the energy and financial sectors, where the regime is particularly vulnerable, the document says. Iran is the second-biggest oil producer in the OPEC cartel and is well endowed with gas reserves. Some 80 percent of its exports come from oil and gas. But the country can't stay in business for long without international help. It needs foreign investments for the urgently needed development of new fields as a replacement for expiring reserves. If that investment isn't forthcoming, output will fall rapidly. And, possibly worse, the oil-rich country is largely dependent on the import of oil products such as gasoline and diesel. Without fuel imports, its transport system would quickly collapse. The regime is trying to build refineries, but it needs foreign know-how and capital for that too. The EU planners regard financial sanctions as even more effective, and have come up with an array of options. The EU could, for example, obstruct Tehran's access to Iranian currency reserves located abroad. And one could banish the Iranian central bank from the international circulation of money and credit. Cross-border money transfers would be made virtually impossible and Iran would have huge problems paying for imports -- that would hurt the supply of products needed for its nuclear program. A further proposal: if Western insurance companies stop guaranteeing investments in Iran, many investors will prefer to withdraw. If Europe blocks export credit guarantees that are a routine part of interrnational trade, deliveries to Iran would be more risky or at least significantly more expensive. The EU plan also suggests limiting diplomatic and other official contacts with Iran, a move that would be primarily symbolic but significant just the same, it says. The 27 EU members haven't decided on sanctions yet. But European governments are more determined than ever to raise the pressure on Iran, especially after the IAEA said in a report last week that Iran may now be working to develop a nuclear-armed missile. The Europeans needs a decision by the UN Security Council as a stable legal foundation for their new sanctions. That will only happen with the support of the veto powers Russia and China. But the West also wants to secure the backing of countries such as Brazil, Turkey and the Gulf states for sanctions. That would make it harder for Iran's leadership to argue that it's being victimized by a "Western conspiracy" or the "vassals of Israel." (Haaretz, AP). Opposition leader and Kadima chairwoman Tzipi Livni on Tuesday praised the assassination of a Hamas commander in Dubai last month, marking the first such comment from a top Israeli official. Tzipi Livni, speaking at the closing panel of the board of trustees of the Jewish Agency in Jerusalem, said the death of Mahmoud al-Mabhouh was good news, but did not say who was behind the killing. "The entire world must support those fighting terrorism: an American, British or Israeli soldier regardless if he is in Gaza or Dubai. The fact that a terrorist was killed, and it doesn't matter if it was in Dubai or Gaza, is good news to those fighting terrorism," said Livni. Also on Tuesday, Former Israel Defense Forces Chief of Staff Dan Halutz said that the attribution of the Mabhouh assassination to Israel increases the country's power of deterrence, Army Radio reported. "These actions deter terrorist organizations, as well as states, who understand the capabilities of Israel's intelligence," said Halutz at a conference in Tel Aviv. Halutz also referred to the assassination of Hezbollah commander Imad Mughniyeh, which has also been blamed on Israel, saying, "When Mughniyeh was killed, it caused immediate damage to Hezbollah. Beyond the direct result of removing a significant man from the game, it sowed fear in the next in line [to replace him.]" "Nasrallah has been sitting in a bunker for three years for fear that 'his soul would be returned to its creator,'" said Halutz referring to the Hezbollah leader. ".....I’ve been involved with for just a little under twenty years which is the great challenge that is facing the world because of the rise of militant Islam and its attempts to acquire nuclear weapons. I mean, if I had to put in a nutshell the greatest threat that faces humanity – it is that a militant Islamic regime will meet up with nuclear weapons or that nuclear weapons will meet up with a militant Islamic regime. The first is a danger now focused in Iran and the second is a concern that many people have about a Taliban takeover of Pakistan. I think that both are eminently preventable but things are not prevented by themselves, they depend on actions and the most important action vis-à-vis Iran is action that the international community can take and must take in time. This regime depends virtually entirely on energy. Its budgets depend on energy – on the exportation of oil and natural gas. The first and most powerful sanction – biting sanctions – is to prevent the export of oil from Iran. Right alongside it is to prevent the import of oil or specifically refined petroleum which means gasoline into Iran. These are sanctions with teeth. Other sanctions are now being discussed by the international community but without these sanctions, I think they will not have the impact to actually make a dent in this regime and force it to consider whether to continue its brazen pursuit of a nuclear weapons program. If one is talking about what are effective sanctions – what are crippling sanctions – what are sanctions that can actually work – they must include, they must include the constriction of the export of oil from Iran and the import of refined oil into Iran. I think that nothing else stands a real chance to stop the progress of the regime but this has a chance – at least it must be tried and must be tried now. There has been a slow lag of understanding of things that we have been talking about for years. At first, there was a question whether Iran is – whether this regime is as tyrannical as it is. People said that it’s a populous regime – it may have a theological bent but it is a popular regime that seeks to better the lives of Iran’s people. Well, they no longer think that. I think the regime has been exposed by the clear sunlight that fell on those sidewalks where young Iranians were bleeding, choking on their blood, being gunned down by these goons. People now know the truth about the nature of the regime. And a regime that tyrannizes its own people will tyrannize its neighbors very soon. In fact, that’s already happening. The second thing that people said is does Iran have a nuclear program? There was some debate about that. Well, that’s pretty much evaporated as Iran’s secret nuclear facility has been exposed and other facts came to light. So now we know that this is a tyrannical regime that is developing atomic bombs. The third thing that we know is that they threatened to use those bombs against us and possibly as weapons of terror against anyone else they choose. This is a formidable combination. When you have no inhibition and you have far-reaching ideological, theological ambitions – the combination of a militant Islamic regime that has the weapons of mass death and could use atomic weapons, not merely to threaten directly but also to use it as weapons of nuclear terror could be a pivot of history. That too is understood in most of the capitals and by most of the leaders that I’ve spoken to in recent months and over the years and there is a crystallization of an understanding. And now comes another question that caused a lot of arguments and disagreements. How long will it take for them to develop a weapon? That too, as Iran is advancing and as it is demonstrably accruing low, enriched uranium which is one step short of a process called high enrichment which they’ve just begun. That too begins to fade as an issue of discord because people understand it will happen a lot sooner than people think. So now the leading countries in the world and the leading leaders of the world today understand that Iran is a brutal tyranny, that it has a nuclear weapons program, that it is using its power to tyrannize its own people and its neighbors and that it is fast approaching a nuclear weapons capacity. Well what is it going to do when you have the understanding? There’s a difference between not knowing and knowing. Then there’s a difference between knowing and understanding. And then there’s a difference between understanding and having the international community actually act on that understanding. We’re at that fate point. We’re at the point where the international community has to decide whether it is serious about stopping Iran. If it is serious about stopping Iran, then what it needs to do is not water-down sanctions, moderate sanctions, sanctions that will only enable people to put a ‘V’ around the rubric box of sanctions, but effective , biting sanctions that curtail the import and export of oil into and out of Iran. This is what is required now. It may not do the job but nothing else will. And at least we will have known that it’s been tried. And if this cannot pass in the Security Council, then it should be done outside the Security Council but immediately. I never fail to quote Hillel the Elder who said several thousand years ago some pretty smart things. They were short and succinct and to the point. And one of the things that he said was: ‘If not now, when?’ If not now, when is the international community going to impose biting sanctions on Iran? A year from now? Two years from now? Three years from now when it’s all pointless? If not now, when and the answer is right now! That is what is required: Crippling sanctions that affect Iran’s import and export of oil now......"
(Haaretz).A military strike will not completely stop Iran's nuclear program, Chairman of the Joint Chiefs of Staff Admiral Mike Mullen said in a Pentagon briefing on Monday. "No strike, however effective, will be in and of itself decisive," Admiral Mike Mullen said, adding that he supported using diplomatic and economic pressure against Iran. Iran's uranium enrichment, in defiance of several rounds of Security Council sanctions, has spurred world powers to consider tougher diplomatic measures, against the backdrop of threatened military action by Israel as a last resort. When asked on what steps the U.S. intended to take to thwart Iran's nuclear ambitions, State Department spokesman Philip Crowley told reporters Monday that Washington was "continuing to look at other steps that we can take both multilaterally and prospectively on a national basis." Crowley added that the U.S. was "looking at the full range of possibilities." "We want to see effective sanctions that have the impact that we want to put pressure on Iran. And as the Secretary has said, we will be paying specific attention to the Revolutionary Guard Corps that is playing a more - a growing role in Iranian society and in the Iranian economy," Crowley said. (Jpost).In spite of differences, US Jews must defend Israelis, ambassador says. Ambassador to the US Michael Oren urged a gathering of American Jews to support Israel despite any reservations or differences of opinion regarding Israeli policy. “In spite of some of the differences that sometimes divide you and in spite of the differences you may have with our decisions, respect them, for they have been made by the majority of Israelis, through one of the world’s most resilient democracies,” he said Sunday night, addressing the Jewish Council for Public Affairs annual plenum in Dallas, Texas. In blunt words, he urged American Jews to support Israel while it is at a “crucial crossroads” in the peace process. (WorldNetDaily)..A Jewish reporter and radio host confronted the spokesman of Hamas today about whether the assassination in Dubai of one of his group's leaders – an elimination largely pinned on Israel – scares Hamas members into thinking they could be targeted next. "You're a member of Hamas. Are you afraid? Are other members of your group, of Hamas, afraid of being assassinated by Israel?" asked WND senior reporter Aaron Klein, who has been hosting a weekend show live from Jerusalem on New York radio station WABC. Klein, an American, was speaking live to Fawzi Barhoum, Hamas spokesman in the Gaza Strip. "This was a very professional assassination and the video has been posted on the Internet. Does this now scare you?" asked Klein. Barhoum replied, "No, no we are not afraid because we are not leaving Gaza. But finally if the Arab community could be in deep silence about all of these crimes committed by the occupation [Israel], everything will be dangerous. Not for Hamas only but will be dangerous for the Arabs and Islamists and that community." Speaking to Klein, Barhoum said he is "sure" Israel's Mossad intelligence agency was responsible for the assassination "because Mossad is the only one who could commit this crime in Dubai." Barhoum also said Hamas has information indicating members of the Palestinian Authority, headed by rival Mahmoud Abbas, aided in the targeted elimination. "There are two factors from our investigation related to the PA," said Barhoum. "There are Arabs in Dubai and they were involved in the assassination; they assist. Two persons are from the PA and who were until now in Dubai. (Ynet).Prime Minister Benjamin Netanyahu on Monday reiterated the importance of placing immediate sanctions on Iran and said, "We are at a point where the international community needs to decide if it has serious intentions to stop the Iranian nuclear program." In a speech before the Jewish Agency's board of trustees in Jerusalem, Netanyahu explained that "the biggest threat to humanity is the militant Islamic regime attaining nuclear weapons. These matters do not resolve themselves – the international community must act promptly. "The Iranian regime is dependant on energy, petroleum and natural gas. The first and most important sanction that must be placed is restricting exports of gas and imports of petroleum from Iran," Netanyahu added, "These sanctions must have teeth; soft and lenient sanctions won't have the necessary affect. They should not be implemented only in order to check them off a list." The prime minister noted that if the decision of placing such sanctions is not reached by the UN's Security Council – it must be implemented through other frameworks, but either way must happen immediately. (IsraelNN.com) Prime Minister Binyamin Netanyahu published a notice in this morning expressing his deep sorrow over the death of Rabbi Menachem Porush, former MK and Deputy Minister of Labor and Social Affairs. "Rabbi Porush, of blessed memory, was a pillar of the Haredi religious community in Israel and represented them faithfully. He was one of the longest serving Knesset members serving continuously from the fourth Knesset until the thirteenth as an MK for Agudat Israel and United Torah Judaism. The Prime Minister and Rabbi Porush held a warm and personal relationship. Rabbi Porush remembered Netanyahu’s grandfather and advised the Prime Minister often via the wisdom of his experience. They held meetings from time to time in the Central Hotel in Jerusalem. The Prime Minister said after hearing the news of the death of Rabbi Porush, 'Israel and the Jewish people today lost a dear, wise, warm Jew who loved Israel and was among the best public servants we had. We are greatly saddened by his loss.' "
(Yoram Ettinger-Ynet).The February 2010 visit to Israel by Admiral Mullen, the Chairman of the Joint Chiefs-of-Staff, sheds light on the larger context of US-Israel relations, which transcends the Arab-Israeli conflict, leverages Israel's unique capabilities, and benefits both the US and Israel. The visit reaffirms that US policy toward Israel is based, primarily, on regional and global strategic interests and not on domestic politics. US-Israel relations do not resemble a one-way-street (the US gives and Israel receives), but a mutually-beneficial two-way street. Admiral Mullen's visit to Israel centered on a series of aggravated mutual threats and on the implication of the expected US withdrawal from Iraq related to those threats: Iran's nuclearization, global Islamic terrorism, domestic and regional war in Iraq, escalation of the ballistic threat, Iran's subversion of the Gulf and the Middle East, al-Qaeda's entrenchment in Yemen which controls key sea lanes for oil tankers, the war on the Saudi-Yemen border, the intensification of Iranian-Syrian cooperation, the enhanced Middle Eastern profile of Russia and China, Turkey Islamization, etc. The evacuation of US forces from Iraq could trigger a political-military volcano, with boiling lava sweeping Saudi Arabia, the Gulf and Jordan, further deteriorating the region, highlighting Israel's contribution to the national security of its most critical ally, the USA. For example, in 2010, US special operations forces in Iraq and Afghanistan leverage Israeli battle tactics and 61 year counter-terrorism experience. US Marines benefit from the Israeli-developed "Pioneer" unmanned aerial vehicle, which provides intelligence otherwise unobtainable, preempting terrorists, thus saving many lives. A US special operations colonel told me – in the office of Senate Majority Leader Harry Reid – that his battalion benefited in Iraq from Israel's unique contribution in the areas of training, urban warfare, improvised explosive devices (IEDs), car bombs, booby-traps, suicide bombers, roadblocks and checkpoints, interrogation of terrorists and anti-tank missiles. According to Brig. General Michael Vane, Deputy Chief of Staff at the US Army Training and Doctrine Command, the Israeli experience played a role in defeating terrorists in Iraq's "Sunni Triangle." According to Senator Daniel Inouye, Chairman of the Appropriations Committee and its Subcommittee on Defense and a veteran of the Intelligence Committee, "Israel's contribution to US military intelligence is greater than all NATO countries combined." In September 2006, Israel demolished a nuclear plant in Syria, thus dealing a blow to the anti-US Syria-Iran-North Korea axis, while upgrading the posture of deterrence and joint interests of the US and Israel. In 1982, Israel's Air Force was the first ever to destroy a Soviet built surface-to-air network. Israel destroyed 23 of the most advanced Soviet surface-to-air missile batteries, employed by Syria and considered impregnable. Israel's battle tactics and lessons, electronic warfare and other technological innovations were shared with the US, thus tilting the global balance of power in favor of the US. In 1981, Israel devastated Iraq's nuclear reactor, in defiance of brutal US and international pressure – including a military embargo – thus according the US the conventional option during the 1991 war against Iraq. It spared the US and the world a nuclear confrontation, along with its mega human losses and mega-billion dollar cost. In 1970, a Soviet proxy, Syria, invaded a US ally, Jordan, aiming to topple the Hashemite regime and activate a pro-Soviet domino scenario into Saudi Arabia and the Gulf States. US forces were overly-involved in Vietnam, Laos and Cambodia, but Israel mobilized its military, forcing a Syrian evacuation of Jordan, thus preventing a collapse of pro-US regimes, a setback to US national security, havoc in the Arab oil-producing countries and a blow to the US standard of living. Israel's capability of snatching roasting chestnuts out of the fire – with no US involvement – transformed President Nixon into a supporter of enhanced US-Israel strategic cooperation, in spite of the fact that only 12% of US Jews voted for him, and irrespective of severe US-Israel disagreements over the Arab-Israeli conflict. Former Secretary of State, General Alexander Haig, a former Supreme Commander of NATO, refers to Israel as "the largest, most battle-tested and cost-effective US aircraft carrier, which does not require a single US personnel, cannot be sunk and is located at a most critical area for US national security interests." If Israel did not exist in the eastern flank of the Mediterranean - adjacent to most critical oil resources and water lanes, in the intersection of Europe, Asia and Africa - the US would have to deploy a few aircraft carriers to the region, along with tens of thousands of military personnel, costing scores of billions of dollars annually and risking involvement in additional regional and international confrontations. The Jewish State constitutes a battle-proven laboratory, which has improved thousands of US-made military systems and technologies, sharing with the US such improvements, thus enhancing the competitive edge of the US defense industries, expanding US employment and export base, upgrading US national security and saving many US lives and mega billion of dollars in terms of research and development cost. For instance, the current generation of the F-16 includes over 600 modifications introduced by Israel. If there had been an Israel-like nation in the Persian Gulf, there would not be a need to dispatch hundreds of thousands of US military personnel to the region! The US-Israel strategic cooperation surged meteorically during 1949-1992, despite rocky disagreements over the Arab-Israeli conflict, entirely due to a series of mutual threats and joint interests, which are much more pertinent to US national security. In hindsight, such disagreements have been merely bumps on the road toward unprecedented strategic cooperation. On a rainy day – in the battle against Iran and other threats - Admiral Mullen prefers a "tough nut" over a "punching bag" as an ally! (JPOST).The air force unveiled a new drone as wide as a Boeing 737 on Sunday, at the Tel Nof air base near Rehovot, marking a new stage in Israel’s long-range operational and intelligence capabilities. The Israel Aerospace Industries-made Heron TP (dubbed “Eitan” by the air force) is one of the largest unmanned aerial vehicles in the world. It can fly at medium-to-high altitudes for more than 20 hours, while carrying a variety of payloads and advanced equipment weighing hundreds of kilograms for thousands of kilometers. The Heron TP is capable of reaching Iran. Individual drones are already in service; the Heron TP was used over Gaza during Operation Cast Lead last winter. The air force expects a squadron of Heron TPs to be formed this year. Despite its mammoth proportions, its engine is quiet, so it can be used in covert operations. “The air force has marked another important milestone in the development of UAVs,” OC Air Force Maj.-Gen. Ido Nehushtan said on Sunday, at the Tel Nof base. Israeli-made drones have come a long way over the past 30 years, “from the humble beginnings of small UAVs with operational outputs during the First Lebanon War, to the varied array of hi-tech and multi-operational UAVs that accompany almost operational aspect of the air force,” Nehushtan said. Israel Aerospace Industries described the Heron TP as an all-weather multi-mission platform that can take off and land automatically. The UAV comes equipped for satellite communications over an extended range. Q.Benjamin Netanyahu, a year into your term, observers seem to agree: You're an impressive survivor, but just a survivor. The government you lead has no vision, no destination. It's not going anywhere. Netanyahu: "That is completely and utterly unfounded. My vision is of an Israel that is a world technological superpower, anchored in values, reaching peace from strength. To this end, we are working to jump-start the economy, to augment our security and to strengthen Israel through inculcating basic national values. I see all this as part of an economic, educational and cultural revolution that is just beginning. "Your criticism partly stems from the fact both Palestinians and Syrians have adopted a strategy of unwillingness to negotiate. They present us with extremist preconditions that they did not present to earlier Israeli governments. I don't know any other government in the world that would enter negotiations under conditions that determine in advance how they should conclude. The critics expect us to accept the Palestinian and Syrian dictates; they describe the acceptance of those dictate as a vision. I don't see it as a vision. The vision is to empower Israel economically, militarily and culturally so as to enable it to make true peace with its neighbors. Not peace on paper, rather peace that will last. "It will take time for the Palestinians and Syrians to retreat from the positions they have taken. I think the Palestinians, at least, may be backing down. There are signs that negotiations with them will begin in the foreseeable future." Q.Today, the cabinet met in Tel Hai to launch a program involving restoration of historical sites. Many see this plan as ridiculous and anachronistic. They say it's irrelevant to the present-day problems facing Israel. Netanyahu: "Yigal Alon once said that a people that doesn't know its past cannot be certain of its future. In the storm that is sweeping societies and states across the globe, a process of cultural superficiality is taking place: The dominant global culture is endangering the cultures of smaller nations. Our problem is particularly acute. We are living in this country because we are linked to it; we were exiled, and we have returned. There's no people that needs to deepen its roots in its land more than we do. That is why I believe national security doesn't only depend on military and economic might, but also on enhancing the young generation's knowledge of our past, and strengthening its connection to our land. These are the values I was raised on. These are values familiar to any Israeli over the age of 40. And they are the values that must be renewed today. "David Ben-Gurion believed the foundation of our nation-building involved studying the Bible, walking the land and preserving archaeological sties. These values have been eroded over the last 30 years, and we are trying to stop that process. Among other things, this involves preserving our cultural treasure troves: Hebrew songs, Jewish and Hebrew writings, films, plays that have been videoed, photographic archives. These assets are being depleted, lost. I don't think it's ridiculous or anachronistic to try and save them. I don't think there's a contradiction between being open to the world, and preserving our culture and imparting it to our youth. The Americans know how to appreciate the Lincoln Memorial, the Gettysburg National Cemetery and the Alamo site in Texas, but this does not affect their openness to technological innovation. "I'll give you an example. [Tel Aviv's] Rothschild Boulevard is a thriving street of cafes and bars, of innovative street shows and 'White Night' festivals. I think it's wonderful. But at No. 16 Rothschild Boulevard, there's a peeling old hall where Ben-Gurion announced the establishment of the State of Israel. Why not renovate and reopen it? Why not allow the young people who are out having fun on the boulevard to go inside and see what it represents? I'm certain they would like that. This is why I see the resolution we made today as one of the most important in many years." Q.Which of the sites slated for renovation are you particularly fond of? Netanyahu: "Tel Hai, obviously. My father arrived at Rosh Pina in 1920, and in 1923 he broke his arm playing soccer. He was treated in the beautiful old hospital in Safed by the same physician who treated Trumpeldor, and he and others told my father of the famous words that Trumpeldor uttered before he died - probably based on the Latin phrase: dolce et decorum est pro patria mori. I think the spirit of sacrifice embodied by Tel Hai is still just as vital today, not so that we will die, but so that we can live." Q.There's another plan you are going to present to the cabinet this week - not about historical legacies but about transportation. You intend to pave roads and build railroad tracks on an unprecedented scale. Why spend money that we don't have on asphalt and concrete? Netnayahu: "It's not that much money. We're talking about some NIS 30 billion over 10 to 15 years. In terms of our gross national product, this is quite manageable. The country has been concentrated for 60 years between Gedera and Hadera, with one main transportation corridor 'copied' along Highway No. 6. The Negev and the Galilee are off the map. Both economically and in terms of the expansion of the population and closing gaps, there's tremendous importance to integrating the north and south in the transportation network. "The United States carried out a similar revolution twice: first in the 19th century, with trains, and then in the 1950s, with highways. This is why you can hit the road in Boston and reach Los Angeles without stopping at a single traffic light. In Israel, you can't go from Kiryat Shmona to Tel Aviv without waiting at lights. This is what we're going to change. We won't just bring the center to the north: We'll bring the north to the center. "We'll increase local tourism, increase employment, but most importantly, we'll facilitate social mobility. Look at the revolution happening in Yokneam and Or Akiva, which were seen as God-forsaken places until they started blooming thanks to nearby highways, rail lines or intersections. Together with the Israel Land Administration reform and the reforms in planning and construction, the new routes will encourage faster growth, open up opportunities and free us from being stuck between Gedera and Hadera." Q.Wouldn't it be better to invest the money in education? NIS 30 billion could revolutionize elementary, high school and university education. Netnayahu: "We'll be investing in education, too. But it's important to understand that investing in transportation infrastructure creates growth. We believe it will contribute enormous resources and add some 2 percent to annual growth, creating new budget sources to fund education, health and welfare for the elderly. Investment in roads is a prime growth engine. Together with our other recent moves, it will help increase the size of the national pie, which we can then divide up according to different needs: security, education and society. At the end of the day, in one year we've done more to promote our vision than many other governments." The United States is placing its efforts to thwart the Iranian nuclear program on a "pressure track," head of U.S. Central Command general David Petraeus said in an interview to a U.S. network on Sunday. Speaking to NBC's "Meet the Press," Petraeus said that he thought "that no one at the end of this time can say that the United States and the rest of the world have not given Iran every opportunity to resolve the issues diplomatically." "That puts us in a solid foundation now to go on what is termed the pressure track," the U.S. general said, adding that "that's the course on which we are embarked now." Asked on how close Iran was to reaching nuclear capabilities, Petraeus said that "it is certainly a ways off, and we'll probably hear more on that from the International Atomic Energy Agency when it meets here in the, in the next week or so." "There's no question that some of those activities have advanced during that time. There's also a new National Intelligence Estimate being developed by our intelligence community in the United States. We have over the course of the last year, of course, pursued the engagement track." "The UN Security Council countries, of course, expressing their concern. Russia now even piling on with that," Petraeus said. "We will have to see where that goes and whether that can, indeed, send the kind of signal to Iran about the very serious concerns that the countries in the region and, indeed, the entire world have about Iran's activities in the nuclear program and in its continued arming, funding, training, equipping and directing of proxy extremist elements that still carry out attacks," the U.S. general added. When asked whether a single country, even if that country is the United States, stop Iran's nuclear ambitions, Petraeus said that the U.S. would "have to embark on the pressure track next," adding it was the job of combatant commanders to consider the what-ifs, to be prepared for contingency plans." "I'm not saying this in a provocative way. I'm merely saying that we have responsibilities, the American people and our commander-in-chief and so forth expect us to think those through and to be prepared for the what-ifs. And we try not to be irresponsible in that regard," the central command chief said. (Haaretz).With all due respect to Washington's special relationship and shared values with Israel, Americans much prefer their neighbor to the north. According to a new Gallup poll released over the weekend, Israel ranks fifth among the countries viewed most favorably by Americans, behind Canada, Great Britain, Germany and Japan. Canada remains Americans' favorite country, with an approval rating of 90 percent. That compares to approval ratings of 87 percent for Britain, 80 percent for Germany, 77 percent for Japan and 67 percent for Israel. The poll also revealed the generational and ideological gaps that affect Americans' views on foreign policy. According to Gallup, most countries were viewed more favorably by Americans aged 18 to 34 than by those aged 55 and older. Israel is the only country that received more favorable views from Republicans, Gallup said. The PA, in contrast, received more support from Democrats. (via IMRA).President Peres opened the three-day meeting of the Jewish Agency Board of Governors today. In his address the President told the Jewish leaders: "Iran presents the greatest danger for the whole world. Today the Arabs are being challenged by the Iranian desire to establish a non-Arab hegemony over the Middle East as it was for four hundred years under the Persian Empire. The Iranians use Israel as an excuse but we shall disappoint them. We don't want to govern anybody-neither Arabs, nor Muslims." The President declared "we have to think seriously how to handle [the Iranian threat], and how to face it," and stated that "I don't think [Iran presents] a problem or danger simply against Israel. It's against the whole world. Having imperialistic ambitions and a nuclear bomb is a very dangerous combination because a single bomb today is like a whole army in other times. The world will become ungovernable if every country in the Middle East will have a nuclear bomb without responsible people to govern it. I am afraid the world is moving too slowly to face the problem." The President added that "I think the way to handle [Iran] is to have an international coalition that does three things. First, the world must raise a moral call. People who are threatening other people are a danger and I think a voice of reason and responsibility should be raised on a moral level rather than inviting the Iranians as guests of honor. The world must call people by their names-dictators as dictators, and people who hang people as hangmen. Second, the world must impose economic sanctions. Third, the world must install advanced anti-missile defense systems to protect countries in dangerous situations." The President also spoke about the peace process, stating that "we shall disappoint Iran and we shall make peace with the Palestinians. I think we should try to do it as soon as we can. We will work towards peace with or without Iran but having Iran makes the need for peace more real and more urgent." Lastly, the President spoke about the future of the Jewish world: "I think there exists a great call for a Jewish spiritual revival and re-moralization against the dangers we face. The Jewish agency must look to bridge the Jewish world together. The Jewish people are made of so many variations that it is almost un-Jewish to choose one of them. Let's be open, tolerant, and decisive at the same time. If you ask me what is my dream about Israel and the Jewish people I would sum it up in a very short way: that we remain as old as the Ten Commandments and as innovative as nanotechnology. That we stand on our historic values while not giving up our attempt to discover a new world and build more hope. We have to be spiritually clear and keep our togetherness. Our Jewish heritage is a treasure, let's guard it, and be together." (Doyle McManus-LAtimes).What core value is shared by many American voters and much of the Muslim world? Disappointment in Barack Obama. Obama and his foreign policy team have engaged in an energetic outreach over the last year to the world's 1.5 billion Muslims. Unfortunately, it has backfired -- at least in one important way. A year of intense "engagement" between the United States and the Muslim world has had the paradoxical effect of revealing a disconnect between the priorities of the Obama administration and those of its potential Mideast allies. For Arabs and many other Muslims, the one thing they want from the United States (beyond economic and other help for their own countries) is intervention in the Israeli-Palestinian conflict. But that's not what the Obama administration wants to talk about right now. For the United States, the nuclear confrontation with Iran comes first, followed by the war in Afghanistan and -- only then, it seems -- the never-ending problem of Palestinian statehood. When Obama tried to jump-start Israeli-Palestinian peace talks last year, Arab hopes soared. But his attempt at a quick fix failed when Israel ignored his plea to stop settlement expansion and Arab countries rebuffed his request for normalization of relations. The president made an attempt, Nabil Fahmy, a former Egyptian ambassador to the United States, told me last week in Qatar. "But nothing tangible came of it. Now he's seen by Arabs as a nice guy who can't deliver." That's not a good image for a superpower -- especially one trying to win friends through the "soft power" of engagement instead of the "hard power" of military action. Fahmy's view was echoed by Muslim politicians, scholars and community leaders of every stripe. "We want to engage with the United States," said Abdelaziz Omari, an opposition member of Morocco's parliament. "But we see a credibility gap. Most Arabs are angry with U.S. policy [toward Israel], and we don't see the United States giving real support to democracy in the region. For us, other issues are of marginal importance." The administration sent a big delegation led by Secretary of State Hillary Rodham Clinton to the conference. But the Americans found themselves on the defensive. "I know people are disappointed. . . . I fully understand the importance that this issue holds for people not only in this region but around the world," Clinton told the meeting. Her promise that "we are determined to settle this conflict once and for all" was followed by a warning that the U.S. role was limited, since it would be up to Israelis and Palestinians to make the decisions. And she mostly wanted to talk about other issues: on the hard-power side, the threat of a nuclear-armed Iran, only 160 miles across the Persian Gulf from Doha; on the soft-power side, new U.S. programs to help Muslim countries develop in education, health and science. The administration's reluctance to promise much from its continuing attempts to restart Israeli-Palestinian negotiations is understandable. Obama got badly burned by his bungled first attempt to engage in the process. He asked both sides, Israelis and Arabs, to make preemptive concessions -- essentially as a favor to him. Neither side responded the way he had hoped. When Obama asked Israeli Prime Minister Benjamin Netanyahu to freeze all Jewish settlement growth on occupied land, Netanyahu calculated (correctly) that his political standing in Israel would benefit from a show of stubborn independence. Netanyahu said no -- by which time the Arabs had said they couldn't talk without a freeze. The result was an embarrassing standstill. Now the administration is operating on a much slower track, sending Mideast envoy George Mitchell to seek step-by-step talks that won't even have the Israelis and Palestinians in the same room. Netanyahu has belatedly helped with a partial, temporary settlement freeze. But with the Palestinians fractured, Israel reluctant to go much further and Obama himself looking weaker by the month, it's no wonder the administration has chosen to focus on other issues. Still, as Obama and his aides concluded even before last week's conference, they can't simply disengage. Walking away would only convince more people around the world that the United States was never serious to begin with. One concrete step Obama could take is to push Israel harder to ease its blockade on materials to build housing for the homeless in Gaza. Israel is allowing food and medicine in, but not building supplies, arguing that Hamas could use them to build fortifications. In Qatar, Clinton called Gaza a "humanitarian crisis," but it's a practical political problem too: Arabs and other Muslims seethe at Al Jazeera's nightly reports on Palestinian suffering. Israel has made its point that Hamas has brought misfortune to Gaza; now it should find a way to let help in. The U.S. should also step up advocacy for human rights in Egypt and other autocracies in the Muslim world. Obama has taken a big step back from the Bush administration's impetuous but often ineffective enthusiasm for democracy promotion. That shift has had an unintended result: Many Muslims think Obama has forgotten about their human rights as well. Last year, Obama tried to do too much at once abroad as well as at home. He overestimated what his mandate and his charisma could achieve. Now, just as at home, he's being forced to lower his sights and aim at fewer targets. But domestic goals can sometimes be deferred. The stubborn conflicts of the Middle East don't afford that luxury. "Good morning mayors, council heads and ministers. Trumpeldor and his seven comrades fell, here at this site. Ben-Gurion, Israel's first Prime Minister, declared the State of Israel. strengthen their ties with this Land. things that we want to save. glory - if I may say - of the Jewish People. digitization and other 21st-century means to save our cultural assets. and I thank them on our behalf. Tzvi Hauser for advancing these two plans. Let us begin our work. I would like to add three short comments. make my intentions clear, and this is what will be. receive the assistance of many other elements. vice-versa, itself a great economic contribution. been drawn to this place, this region, because my father came here in 1920. Trumpeldor here. Since my youth, I have heard these stories. that they will instill it in their children. This is the tie that binds. Today, we will significantly strengthen it." (JenniferHanin.com).Ask Israelis about peace prospects with neighboring Palestinians and chances are most will share their dream of a day when both can live in harmony. Yet we know peace has eluded every Israeli administration of late. But what about Prime Minister Benjamin Netanyahu? Does he have what it takes to bring peace to the region? Hmm. His supporters would argue that he has the right mix of international diplomacy combined with expertise in foreign affairs, economic liberalization, deficit reduction, anti-terrorism policies and enough chutzpah to get the job done. His detractors would argue that he has no real interest in a two state solution and only buckled last year under intense pressure from the West. But his Bar-Ilan University speech seemed to suggest otherwise. Known internationally by his first name, Jacob has his pulse on Netanyahu, Israeli politics and the volatile climate in the Middle East. In fact, it’s fair to say that Jacob knows more about Netanyahu and Israel’s thorny politics than most Americans know about their president and current administration. Yet, bringing peace to Israel and its neighbors has never seemed as critical as it does with a nuclear Iran on the horizon. But is it possible? There is no doubt that Netanyahu extended an olive branch further than any previous Israeli prime minister has, yet Palestinian president Mahmoud Abbas and the Arab world replied with disdain. Detractors called his policy shift an about face and said it came too late. Right-wing supporters in his Likud party had mixed feelings – anywhere from praise to comparing his policy shift to a u-turn but ultimately supported it. Left-wing supporters in the Kadima Party said it was a step in the right direction but some went as far as calling it a PR move. Then there is the “O” factor to consider. U.S. President Obama outlined a one-sided effort for regional peace in his Cairo speech a month earlier that called for a construction freeze on all settlements. Netanyahu not only met this challenge but also reiterated his promise not to build new settlements or expropriate additional land for existing settlements while allowing settlers to maintain normal lives. End result? Netanyahu’s actions won praise for his ability to change directions while Obama’s pointed measures drew criticism from Jews worldwide as the U.S. administration failed to sanction those purporting anti-Israel hatred, violence and terrorism like the Palestinian Authority and Iranian-backed Hamas. Asleep at the wheel? No doubt. How could Obama overlook terrorist-run Gaza with its 59 Palestinian camps teaching hate via the United Nations Relief and Works Agency (UNRWA)? Obama recently gifted this same agency with an initial $40 million contribution just weeks ago. But guess what? US citizens should be outraged. Supporting refugees might sound noble but NOT when UNWRA employs Hamas terrorists whose sole goal is to teach hatred of Jews and annihilation of Israel. So suddenly building new homes for Israeli families seems irrelevant when it comes to funding terrorist-run Gaza with U.S. taxpayer dollars. So in all this political posturing, what do Israelis want? Jacob believes that the vast majority of Israelis support a two state solution but only under the conditions Netanyahu set forward in his Bar-Ilan speech. Those include: 1. Recognition: Palestinians must unequivocally recognize Israel as the state of the Jewish people. 2. Demilitarization: Territory under Palestinian control must be devoid of an army, without control of its airspace and with effective security measures to prevent weapons smuggling into the territory. Real monitoring is imperative (not what occurs in Gaza today). And the Palestinians must not be able to forge any military pacts. Jacob drives home the notion that anything less puts Israel in danger of further terrorism. He also emphasizes other parts of Netanyahu’s speech that state there can be no peace if a Palestinian state makes pacts with Hezbollah to the north or Iran. Clearly, this couldn’t be truer. At the end of the day, Jacob is convinced Netanyahu means what he says. He is quick to reiterate what many in the Obama administration have played down: the need for Palestinian concessions. Jacob states what the administration hasn’t, “The Palestinians have to stop asking for everything in order to get what they say they want.” We all want to believe the Palestinians leaders want statehood but that’s hard to swallow with the automatic refusal that comes from the lips of Abbas and other Arab leaders each time Netanyahu (or any previous Israeli PM) make gestures towards peace. So how many gestures has Netanyahu made? Try many. And how many gestures or concessions has the PA made? Try zilch. At some point, grandstanding from the PA and other Arab leaders has to stop if they want to build productive lives for Palestinians. How else will they ever trade refugee camps and dependence for homes and independence? Jacob urges those that are unsure of the PM’s motives to listen to his Bar Ilan University speech and note his vision: “In my vision of peace, two peoples live freely, side-by-side, in amity and mutual respect. Each will have its own flag, its own national anthem, its own government.” Israel is well aware it can’t afford to repeat the mistake of the Gaza pullout. If we rewind, we see Israel faced with worldwide pressure to pull its military forces out of Gaza only to receive a blanket of missiles targeting civilian homes and schools. Surprised? Hardly. This isn’t the first time Hamas or the Palestinian Authority invaded after Israel withdrew military forces from Gaza. Acts of goodwill don’t deserve an onslaught of missiles. That is exactly the danger Israel deals with at nearly every step. But we know that demilitarization works as it has for Japan since post World War II. Besides renouncing war, Japan also maintains a policy against exporting military hardware. Trading war for prosperity should be no problem if the PA wants a state. In fact, if they are serious about helping their people prosper then signing an agreement to demilitarize and making a policy against arms transportation or forging pacts with other forces or countries shouldn’t be a deal breaker. History shows this works. Jacob points to the Haaretz poll published two weeks ago as further proof for the PM. The poll showed that 53% of Israelis said that failing to create a Palestinian state would not make Israel a bi-national state. So what can Netanyahu do to promote peace? Jacob believes Netanyahu is the best advocate to bring a viable peace agreement that the majority of Israeli citizens will accept. Jacob cites the most recent example of freezing settlement construction as an unprecedented move and the best example at the PM’s willingness to make peace. Netanyahu froze settlement construction in all settlements even in the largest settlement blocs that will undoubtedly be part of Israel in any peace agreement. Previously, PM Sharon, U.S. President George W. Bush and even PA president Abbas accepted peace in talks with Israeli PM Ehud Olmert. But while other leaders failed in championing peace despite their intensive talks with the PA, Netanyahu’s plan starts from the bottom up. Proof of his success? Try Netanyahu’s economic peace plan that is working in the West Bank. Palestinians must demand more from their leaders. If their leadership stalls, accepts international handouts over self-reliance and returns to terror and intifada, then the Palestinian people continue to lose. Netanyahu is referring to the fact that he will surprise the PA if they negotiate with him. He is willing to make concessions but they must too. Jacob reiterates that the majority of Israel will accept an agreement that Netanyahu achieves between Israel and the PA just as the Israeli people have supported the PM’s recent moves that received cabinet approval. While Netanyahu has succeeded in showing measurable compromise, Palestinians are empty-handed. Obama on the other hand is largely ineffective in the Middle in that none of his efforts have persuaded Iran or the PA to move forward with peaceful initiatives. Obama’s sanctions on Iran were highly ineffective and his construction freeze on settlements in Israel shows that he is unaware of the real danger. Jacob refers to this as Obama’s naivety when dealing with the Middle East. Then there is special envoy George Mitchell to consider. While Mitchell made headway resolving the IRA incitement in Northern Ireland, the IRA’s motives are unlike those in Gaza. For instance, the IRA wanted Northern Ireland free of England unlike the Palestinians (or Iran) who vowed to blow Israel off the planet. The stakes Israel is dealing with are quite different from Northern Ireland and putting a freeze on settlement construction blames Israel. Open your eyes Obama. Why not sanction groups that teach hatred to kids, import arms and recruit suicide bombers? Hmm. Penalizing Israel seems a tad un-American. So how can we stop Hamas and the PA from teaching violence and hatred in UN schools? Jacob references what Netanyahu told his cabinet a few weeks ago, “It is not only missiles and rockets that endanger security and push peace further off. Words can also be dangerous..." Until Obama is able to influence the Arab world to stop teaching hatred, inciting violence and celebrating terrorist deeds, peace will always take a backseat to bloodshed. This begs another looming question: when will the Middle East acknowledge Israel? Tough to say. Jacob refers to the saying, “Your enemy is my enemy.” As Israel receives threats from Palestinians, Syrians, Egyptians and Saudis, those same countries are in jeopardy of losing control to Islamic extremists. Many Islamic militant groups like Hamas, Hezbollah, Al Qaeda, the Muslim Brotherhood and others are in cahoots with Iran. Sadly, no one wins. The existential struggle between Hamas and Fatah, and between Israel and Iran, is even more pronounced between Iran and many of the Sunni states of the region. Iran is determined to undermine many of the understandings that countries have reached with one another within the Arab world. With Ahmadinejad at the helm, Iran poses a credible threat to many of the regimes in the region. So far, Iran has not hid its ability to incite unrest using various proxies, and a nuclear Iran could render that threat even more palpable. Just today, the UN’s International Atomic Energy Agency confirmed that Iran is working on a nuclear warhead. A regional nuclear arms race will likely ensue, bringing even more instability to an already volatile region. This is why it’s in the best interest of all parties in the region to encourage peace between Israel and its neighbors. Luckily, a few promising developments are occurring. So what can the PA do to secure peace for its people? Plenty. Let’s look at other successful examples. Israel and Egypt signed a peace agreement 30 years ago thanks to the courageous leadership of Egyptian President Anwar Sadat and Israeli Prime Minister Menachem Begin. Just 15 years ago, Israel and Jordan signed a peace agreement courtesy of the brave leadership of Jordanian King Hussein and Israeli Prime Minister Yitzhak Rabin. Just think. Following in these leaders footsteps could help Abbas make history and do what former Palestinian President Yasser Arafat couldn’t: put his people on the path to peace and prosperity. (Timesonline).IN early January two black Audi A6 limousines drove up to the main gate of a building on a small hill in the northern suburbs of Tel Aviv: the headquarters of Mossad, the Israeli secret intelligence agency, known as the “midrasha”. Mossad had received intelligence that Mabhouh was planning a trip to Dubai and they were preparing an operation to assassinate him there, off-guard in a luxury hotel. The team had already rehearsed, using a hotel in Tel Aviv as a training ground without alerting its owners. The mission was not regarded as unduly complicated or risky, and Netanyahu gave his authorization, in effect signing Mabhouh’s death warrant. Days later on January 19, Emirates flight EK912 took off from the Syrian capital Damascus at 10.05am. On board, as Mossad had anticipated, was Mabhouh, who was also known by the nom de guerre of Abu al-Abd. The Israelis suspected he planned to travel from Dubai to the Iranian port of Bandar Abbas to arrange for an arms shipment to Gaza. From a highway below a Mossad agent watched the departure of EK912. Knowing from an informant at the airport that Mabhouh, who was travelling under an assumed name, had boarded the flight, the agent sent a message — believed to be to a pre-paid Austrian mobile phone — to the team in Dubai. Their target was on his way. A few hours later, as the world now knows, Mabhouh was murdered in his hotel room — and the Israeli spy agency nearly got clean away. For days the death appeared to be from natural causes. When suspicions did arise, it was only because of Dubai’s extensive system of CCTV cameras that the work of the assassination team was revealed. Preparations appear to have been in train for months. When Mabhouh landed in Dubai, Mossad agents were waiting for him. They had flown in from Paris, Frankfurt, Rome and Zurich in advance using their forged passports, some based on the details of British nationals living in Israel who were unaware their identities had been stolen. The agents had also obtained credit cards in the name of the identities they had stolen. Yesterday Dhahi Khalfan, the Dubai police chief, said investigators had found that some of the passports had been used in Dubai before. About three months ago it appears Mossad agents using the stolen identities followed Mabhouh when he travelled to Dubai and then on to China. About two months ago they followed him on another visit to Dubai. In January, after he had landed and collected his luggage Mabhouh headed for the exit and a taxi for the short ride to the nearby Al-Bustan Rutana hotel. A European-looking woman in her early thirties waiting outside saw him leave and sent a message to the head of the team. Dubai is a hub of international commerce and intrigue. Scores of Iranian agents are active there and its hotels are often used as meeting places for spies and covert deals. The main concern of the Mossad squad was to corner Mabhouh, alone if possible. They divided into several teams, some for surveillance of the target and others to keep a look-out, and one for the hit. Some changed their identities as they moved about the city, putting on wigs and switching clothes. When Mabhouh checked in to the hotel, at least one Mossad agent stood close to him at the front desk trying to overhear his room number. Then two others, dressed in tennis clothes, followed him into the lift to confirm which room he was going to. According to an Israeli report yesterday he specifically asked for a room with no balcony, presumably for security reasons. The Mossad team booked the room opposite. Mabhouh left the hotel in early evening, tailed by two of the Mossad team. Hamas also knows where he went and whom he met, but is not saying. The Dubai police have not released CCTV footage showing exactly what happened next in the hotel, but the available evidence and sources point to two possibilities. One is that while Mabhouh was out, the hit team entered his room and lay in wait. To do this they would have needed a pass key or would have had to tamper with the lock. It is known that while Mabhouh was out someone had tried to reprogramme the electronic lock on the door to his room. However, they may have failed to gain entry. If so, the second possibility is that one of the team lured Mabhouh into opening the door after he had returned to his room. Perhaps a woman agent, pictured in CCTV footage in the hotel wearing a black wig, knocked on the door posing as a member of the hotel staff, allowing the hit team to force their way in. Exactly how Mabhouh was killed remains unclear. The Dubai police said he was suffocated; other sources say he was injected with a drug. But at first sight there was no evidence of foul play. When the killers left they relocked the door and left a “Please do not disturb” sign on it. Within hours the Mossad agents were flying out of the emirate to different destinations, including Paris, Hong Kong and South Africa. Nobody suspected anything was wrong until the following day when Mabhouh’s wife called Hamas officials to ask about her husband. He wasn’t answering his mobile phone, she told them. The hotel management was alerted and the room entered. THERE were no signs of struggle or any violence to Mabhouh, who appeared to be asleep. When he couldn’t be woken, a doctor was summoned from a nearby hospital.